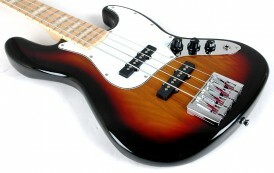 Gear Vault » Bass Guitars » featured » You wanna take up bass guitar? You wanna take up bass guitar? So… you wanna take up bass guitar? Lotsa people have lotsa reasons for wanting to learn how to play the bass. Now to clarify things and for the purpose of this multi-part discussion, we’ll be talkin’ bass guitar (though I’ve always wanted to give the upright a try and I LOVE, I mean REALLY LOVE Nikki Perrot. Check her out, so will you if you have a pulse!). Ok, we’ll assume that you’ve decided on the bass for your own reasons; super stardom, chicks, guys, you wanna play like Leland Sklar (who doesn’t! ), or you wanna be in your older brothers band and the bass is all that’s left ‘cause his dopey friends think the guitar is cooler. Your brother tells you that you can be in the band but you gotta get your own bass (oh yeah, and you gotta learn to play it!). Here’s a little tip that I hope doesn’t burst your bubble. 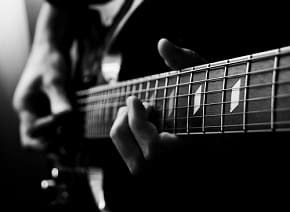 Learning to play is gonna take the rest of your life. Sorry, but that’s the truth. Now you may get really good and you may get to be a superstar and you may get chicks or guys and endorsements and your picture on Bass Player magazine, but you’ll NEVER stop learning. NEVER. Alright, now that we’ve got that out of the way, what kind of bass are you gonna get? New? Used? Expensive? Cheap? American made, or made “offshore”? What I’m thinkin’ here is, even if you or your money source didn’t get their asses kicked in this recession, we’re gonna look for some beginner basses in the neighborhood of $500.00 bucks street price. Surprisingly, there are more out there than you can imagine. Over the next number of installments, we’ll discuss the basses themselves, pro’s and con’s, what one can do to an inexpensive bass to get the most out of it, the best selling models and more. We’ll also eventually evolve into talk about stings, beginner amps (‘cause a Rockman and headphones ain’t gonna cut it). We’ll talk to sales people at the chain and local independent music stores and we hope to hear from you too. We hope you’ll share your experience with your first bass; why you still love it, or why you didn’t like it once you got it home and played for awhile. We’ll cover Peavey, Squire, Ibenez, Washburn and others including a Carvin kit bass. Once again, your input is important. Hey, your experience, good or bad, may help keep somebody from making the same mistake you did. Not that it’ll help you any, but we’re all about the community here and maybe helping will make you feel a little better after all. So… patience Little Grasshopper, soon we’ll bring out the first of our beginner basses and show very little mercy. 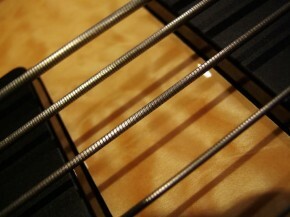 well i have had two other basses in the past and for one reason or another sold them by not learning to play. i got bitten again and bought an ibanez sr300fm i like the feel of it,the neck is small and with nubs for fingers it was a no brainer to choose one for that purpose.i found out after purchace this was discountinude modle but the thing talks to me from inside.ive learnd some things by ear but have yet to buy an amp.what is an affordable yet good sounding,loud combo to check into im on a limited budget.kida like ibanez promethious for the removeable amp but dont know if i can go from 110 to a 410 cabinet with the same amp for future buy when im playing great. Check out the little lightweight Carvin bass amps…lotsa bass for the buck. I’m droolin’ over Markbass stuff lately, but haven’t got the cash right now..maybe an endorsement? Get what you like the sound of and can afford in your present circumstance. Maybe a good used combo…Ampeg, Fender..certainly the new neo GK’s are worth a look. I wanted to write a piece after our Summer tour was over, but it never seems to be over. Stuff about what mistakes on the road teach us all. 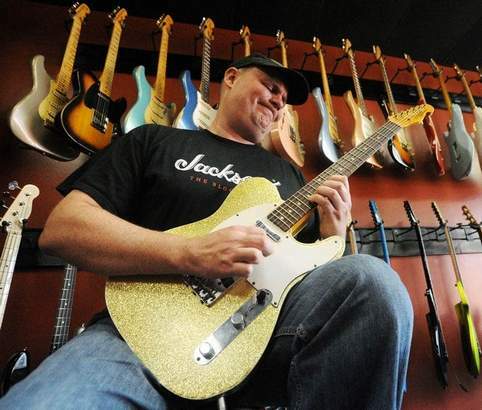 I’ve been TERRIBLY lazy, but if the nice folks at Gear Vault will let me…stay tuned for some 2011 tour plans and advice. Feel free to write any time James. Good luck with the Ibenez (a GREAT choice) and all the bass to you….